It's been happening for some time. You may not know it, but many funeral homes and cremation providers in Placer and Sacramento Counties are no longer owned by local families. Rather, they have been purchased by large out-of-state corporations that answer to Wall Street. When these businesses are purchased, they will keep the same business name but then raise prices significantly, offer "Special Packages" comprised of services/items not necessary to families, all without increasing the level of service they provide. Worse yet, while offering the highest priced services in the community, a large portion of the dollars spent at these businesses don’t even stay in our local economy. Instead, they fill the pockets of stockholders and corporate executives. 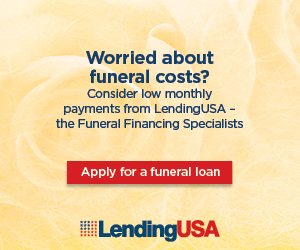 We are PROUD to be among the few independently owned funeral/cremation businesses. Unlike other businesses that are accountable to their investors, we are accountable only to YOU! We like that! Please, before you select a funeral or cremation provider to serve your family, please consider an independently owned business that supports our local economy.